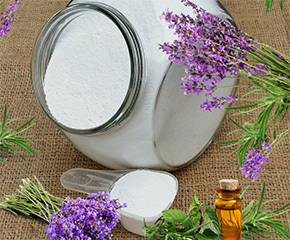 Washing soda (or sodium carbonate/soda ash) is a key component of laundry soaps and other household cleaning products. It easily removes dirt and tough, greasy stains from clothes, utensils, floors and other surfaces. Many brands of washing soda are man made from a combination of salt, ammonia and limestone. 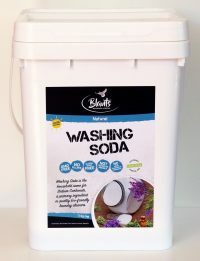 Blants brings you a washing soda that is all natural – simply harvested, filtered and refined. A premium sodium carbonate with no added ingredients. 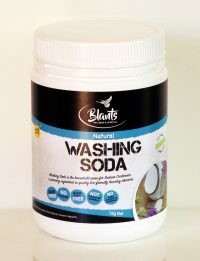 Why use Blants Washing Soda? It’s natural, safe and effective, with a multitude of uses. It’s friendly to your health and the environment. There are no added nasties like chemical fragrances, colourants or flow agents, and not tested on animals. 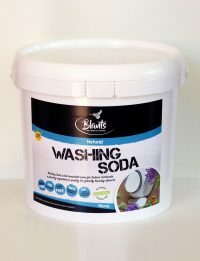 Swap half your usual laundry powder for washing soda – you’ll get a cleaner, softer wash as it softens the water allowing the detergent to work better. A strong washing soda solution is great for removing burnt on grease from pans and dishes. Use a strong, hot solution to clean surfaces like floor tiles, patios and paths, painted areas and woodwork, stonework and decks. Great for cleaning chopping boards, mops and dishcloths. Plastic or cane garden furniture comes up as good as new using a strong washing soda solution. A mild solution leaves windows, mirrors and tiles sparkling. It cuts through soap scum and lime scale in the bath, basin and shower. It freshens up the toilet, tiles and grouting. It acts as a fungicide that can kill mould and mildew in damp areas of the house. In the garden you can use it to target green fly, mildew and black spot. Don’t use washing soda on aluminium, fibreglass or polished/waxed/varnished surface as it reacts with these. 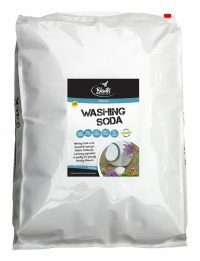 Washing Soda online in NZ in 1kg, 5kg, 11kg and 20kg.